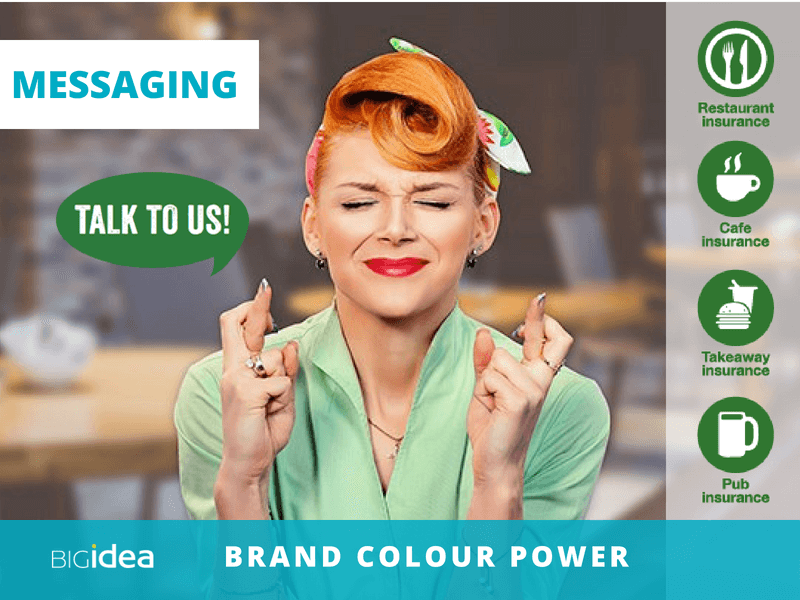 Why use colour to build your brand recognition? In this constantly changing world it’s vital for your brand to stand out, attract your ideal clients and gain their trust and loyalty. We know that buying decisions are primarily emotional. And this is why we need to harness the branding tools that grow emotional bonds with your clients. These emotional bonds include clarity on your brand purpose, values and personality – and importantly – making the best choices on how your brand is represented. Your brand logo, style, typography, imagery and tone of voice all represent your brand. Each of these branding elements really matters – and so do your brand colours. You can use colour to build your brand in a coherent and consistent way that attracts your ideal clients. Associating colours with emotions or responses could be very personal. For example, you may love the colour red because you get compliments every time you wear it. Or you may dislike the colour purple because you hated wearing your purple school blazer. Colours carry cultural symbolism too – like lucky shamrock green in Ireland or lucky red which symbolises abundance in China. Then there is the psychology of colours, based on our unconscious responses to colours. For example, blue is one of the most popular colours worldwide because it taps into feelings evoked by sea and sky. And lastly, some colours may even have a physical effect on our bodies. For example, yellow can be stimulating for creativity. Om Phoenix is a new force in training, bringing culture change and mindfulness to the corporate world. 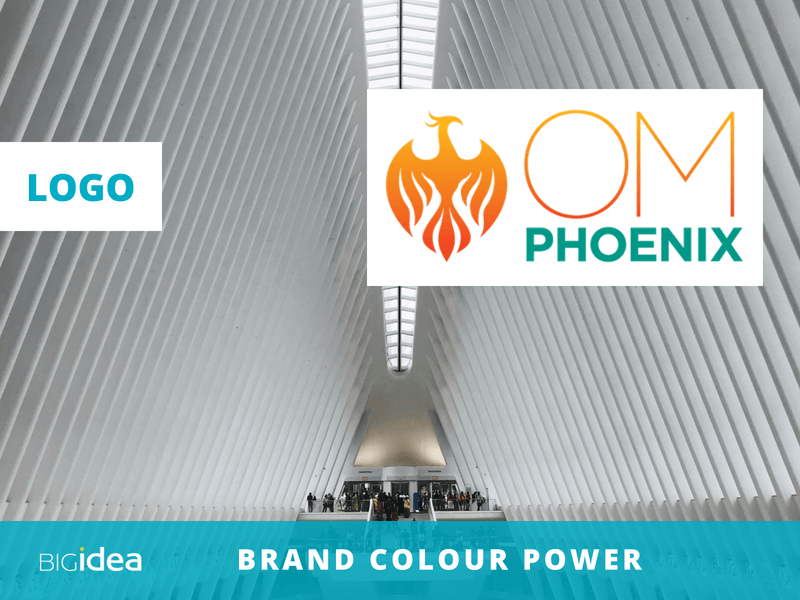 Golden orange and teal were chosen as core brand colours for the Om Phoenix brand because of their specific spiritual significance. In addition, orange and teal support the brand positioning with their joyful, exuberant and healing qualities. Colour is a highly effective tool for brand messaging. You can use colour to build brand awareness with consistent use of brand colours. This is why it is useful to have a core brand colour palette, supplemented with secondary colours. Secondary colours could have specific roles. For example, you could use a contrasting secondary colour for all the ‘call to action’ buttons on the website. This example shows how Coversure Wimbledon use their green core brand colour in icons, to get attention for their restaurant and food sector specific insurance policies. Using your brand colours consistently throughout your brand messaging maintains a cohesive brand image and over time, builds brand recognition and memorability. Get your brand seen, recognised and remembered with boxes, bags and labels decorated in your brand colours. These examples demonstrate how you can use colour to build your brand visibility. 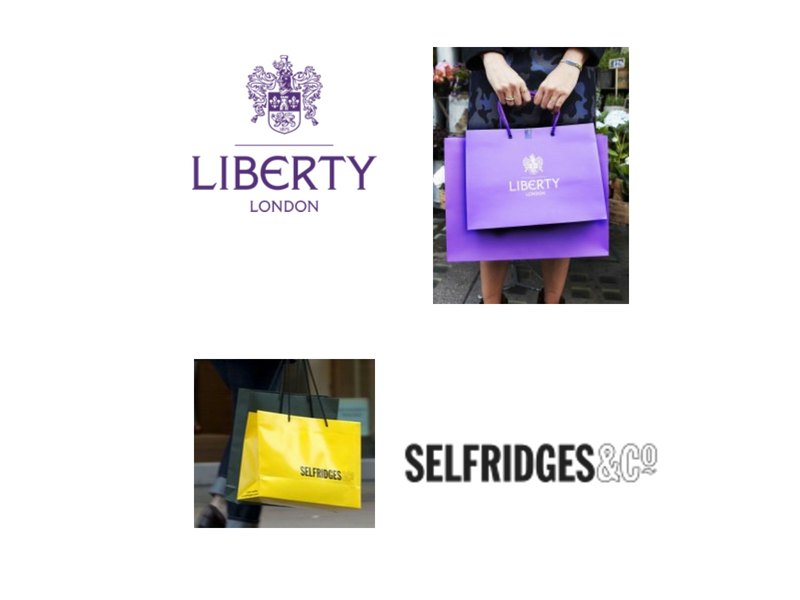 The sunshine yellow bags of Selfridges are a great example of brand colour creating visibility. These carrier bags can be seen from afar on london streets and in the tube. We’ve even heard stories that the Selfridges’ yellow bags are now covetable objects of desire in their own right. Likewise, Tiffany has created boxes of desire for their luxury products. Those gorgeous, distinctive Tiffany-blue boxes wrapped in white ribbon are treasured and kept alongside their contents. 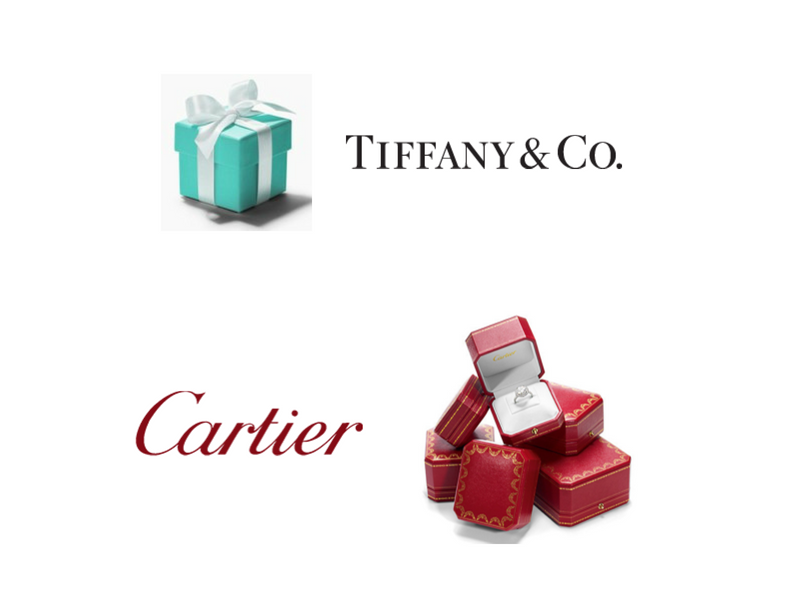 Cartier also demonstrate the value of developing a signature brand colour that is instantly recognised. Cartier red represents the richness, opulence and heritage of the ‘jeweller of kings’. 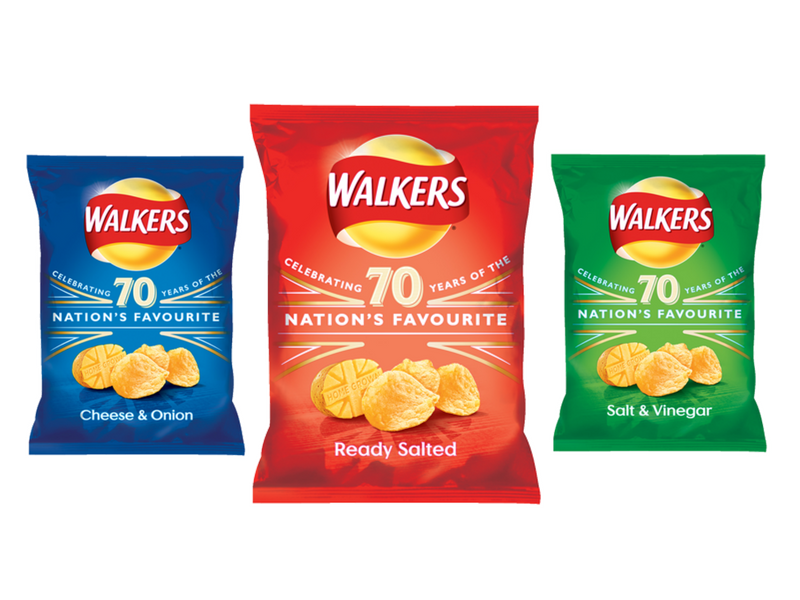 Meanwhile in the food sector, Walkers provides an example of sector colour codes. In the UK, red is the pack colour of ready-salted crisps. These sector colour codes help customers make a fast and easy selection. And these established colour codes make it harder for new competitors to use a different colour code. Or, if you like, they make it easier to focus creativity. Colour plays an important part of product development. 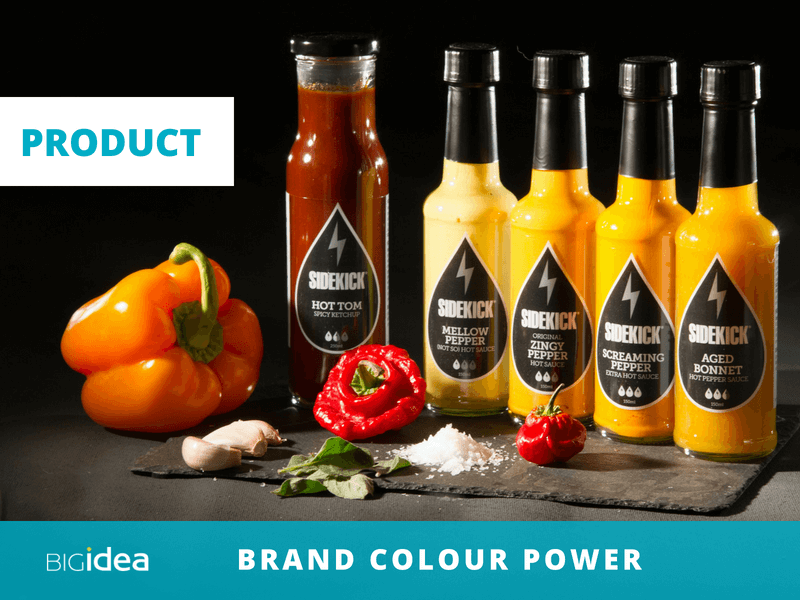 In this example Sidekick Sauce uses yellow, orange and red colours to signify the relative heat or mildness of individual sauces. This shows how the appropriate colours create appetite appeal in food products. Tales of Thread is an ethical garment maker. They incorporate bright colours and bold patterns to channel influences from Africa. 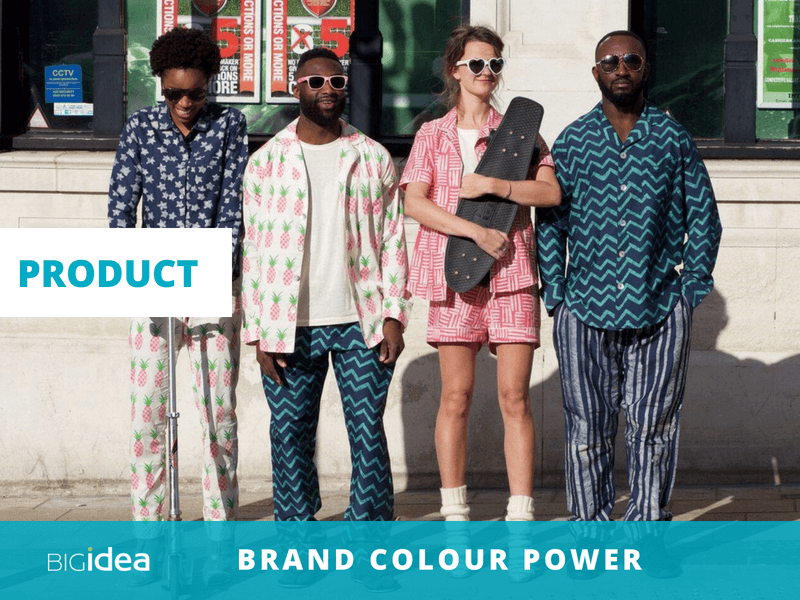 When it comes to product colours, their approach brings together their distinctive colour palette – designed to fit the brand image, style and personality – with the latest colour trends. The idea is to use colour to build your brand architecture – and therefore help clients navigate your range of products and services more easily. In some market categories there are long-established colours for product groups, so it makes sense to use these. For example, when marketing paint, (many years ago), we used the convention of Matt finish = blue and Silk finish = green. 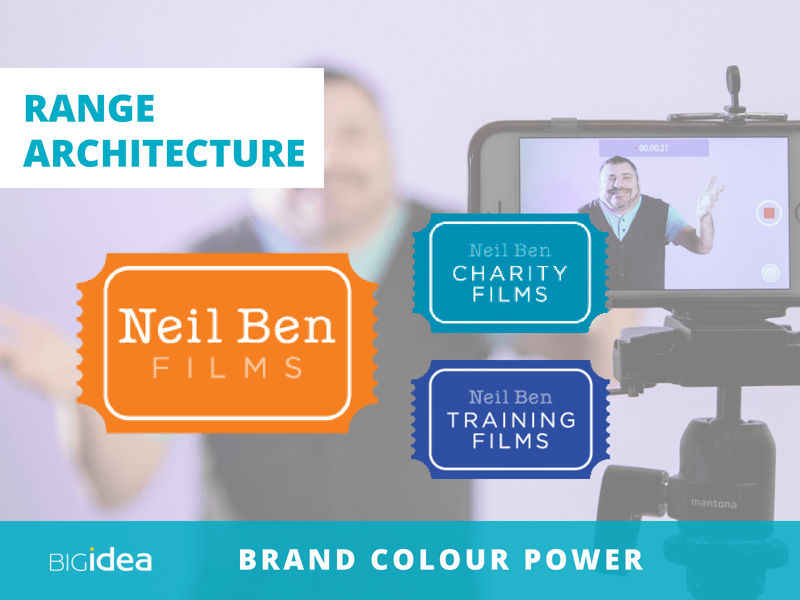 In this example, Neil Ben uses colour to segment his services for training companies and charities. 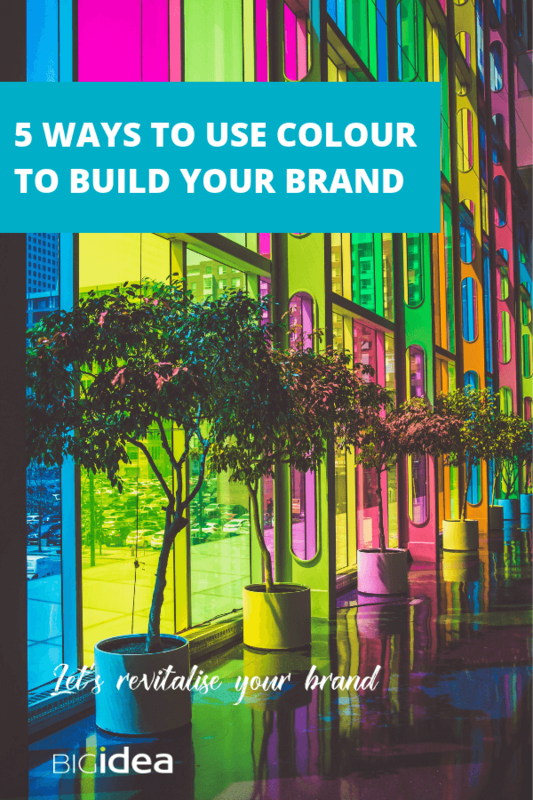 There is tremendous potential to use colour to build your brand in each of these five ways. The key is to be consistent and to develop a coherent methid of usage. There’s a lot more to brand colour than meets the eye, so please do get in touch here if you’d like to discover more about building your brand with colour. And please do sign up for our monthly email, Branding Matters with tips to help you build a powerful brand. Simply sign up here.